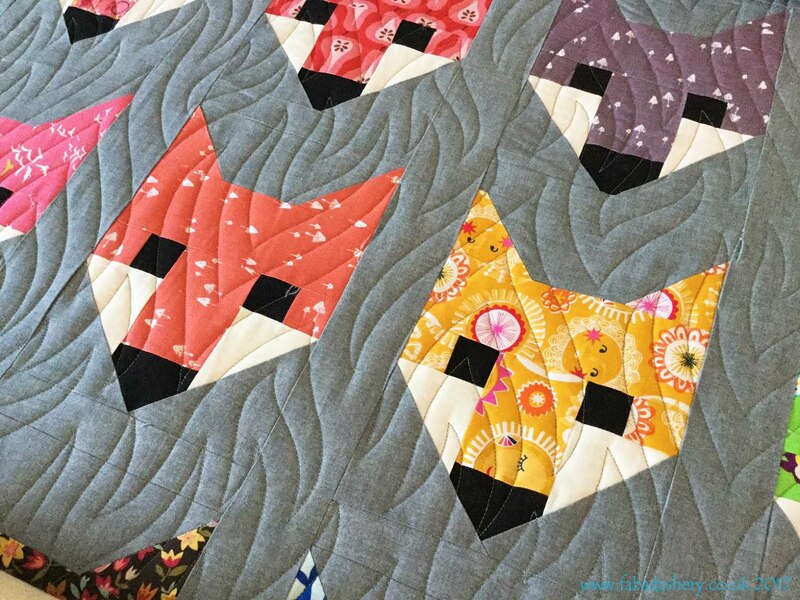 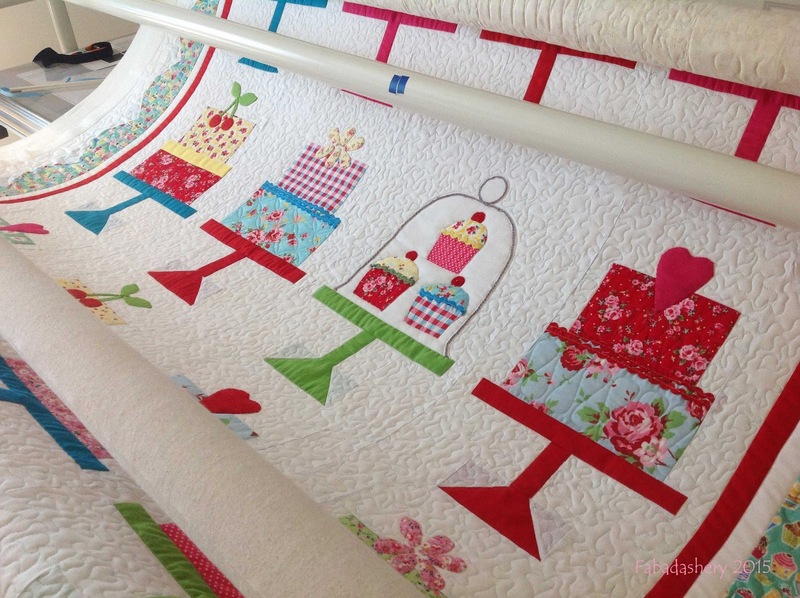 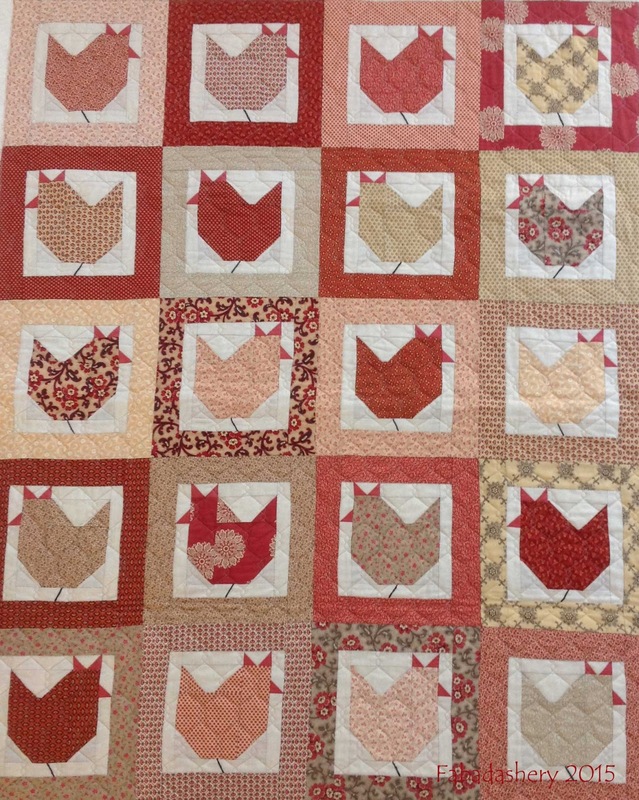 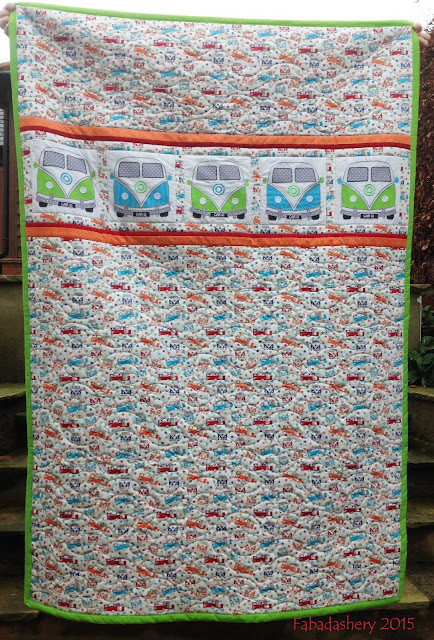 Will you be joining in Bonnie Hunter's Mystery 2015 Mystery quilt, Allietare? 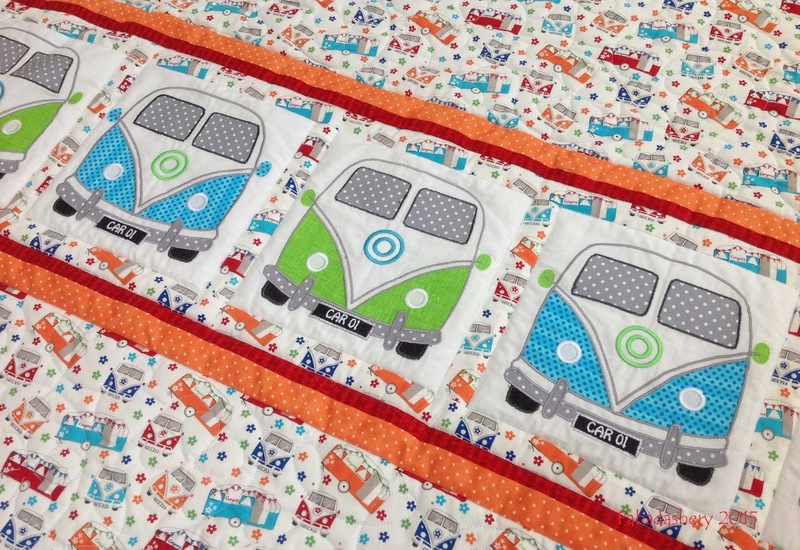 It starts over at Quiltville.com on Friday 27th November 2015 and usually runs on until New Years Day 2016. 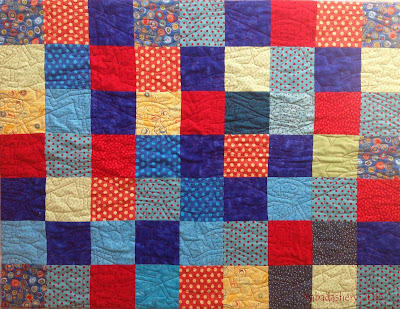 Easy Street was my first mystery quilt with Bonnie back in 2012. 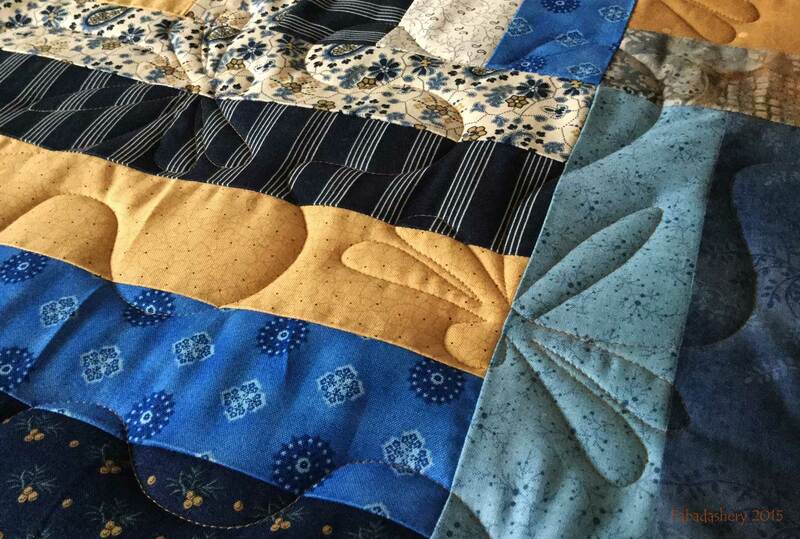 I loved the way it turned out. I even pieced the back enlarging one of the blocks and using up some of the fabrics I still had remaining. But since January 2013 it has been tucked away waiting to be quilted. 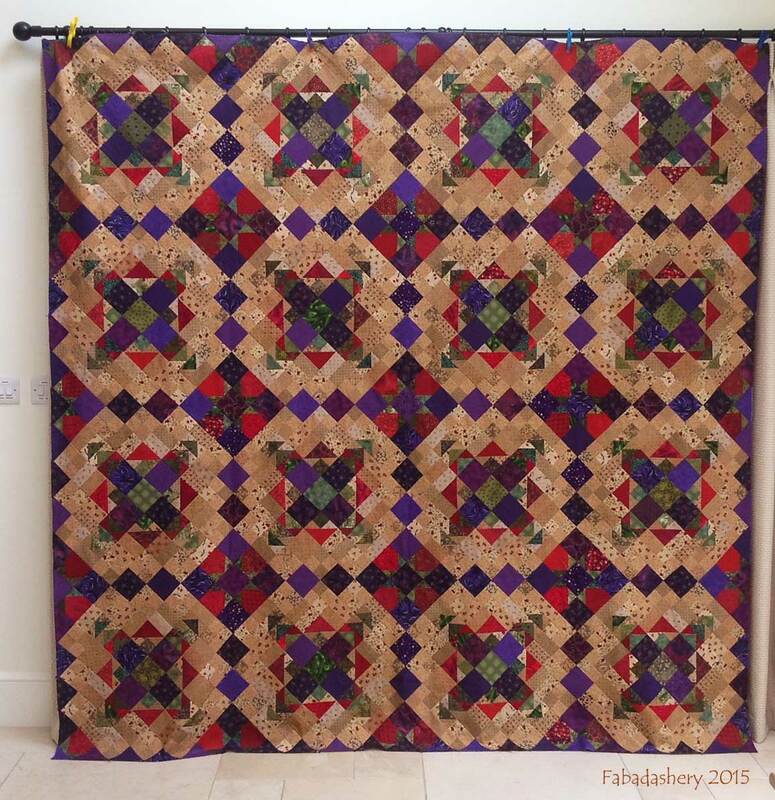 So before I start on the 2015 Mystery quilt 'Allietare', I thought I had better get it quilted. 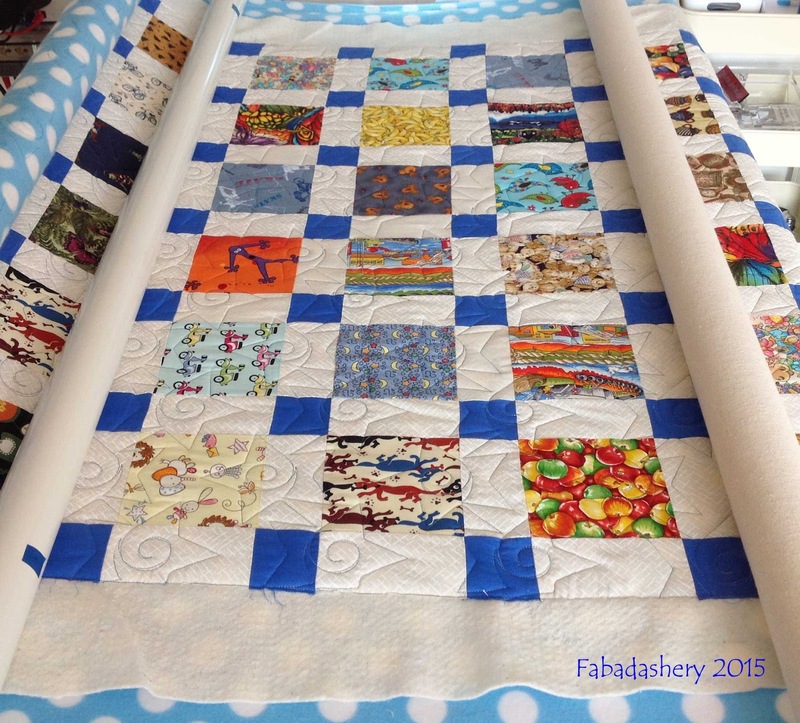 Here it is on the frame ready for quilting, using Hobbs Polydown as the wadding and ready to be stitched in a tan thread. 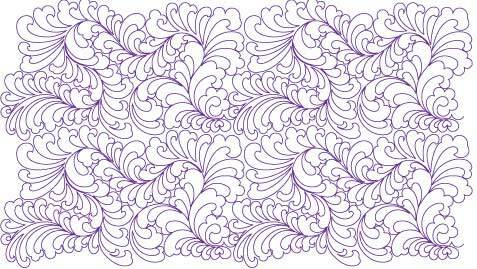 ﻿I chose one of the more complex patterns I have in my digital pantograph library called 'Royal Plumes' by Judy Allen. 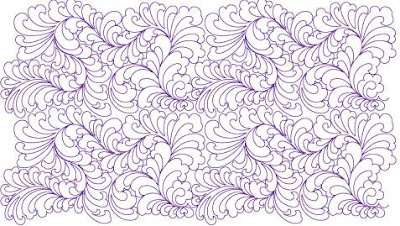 This particular pattern takes a long time to do, but does has a beautiful feathery flourish. 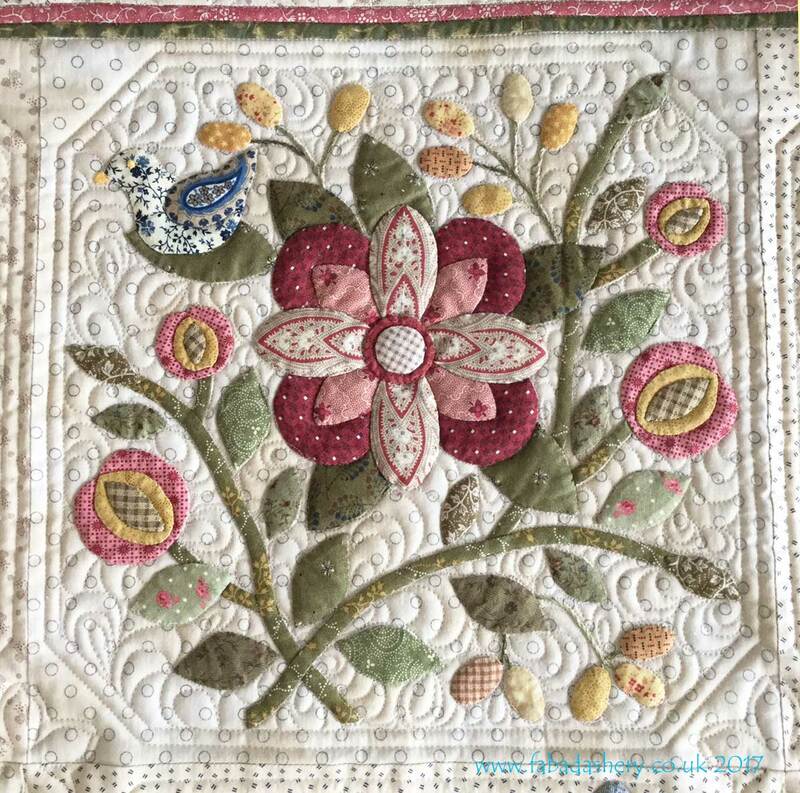 You might just be able to see the Royal Plumes pattern as it was on the frame. ﻿So Easy Street is quilted (Celtic Solstice is still waiting! ), making way for Allietare. I love my Easy Street as it reminds me of the wonderful time I had making it over the Christmas period back in 2012. 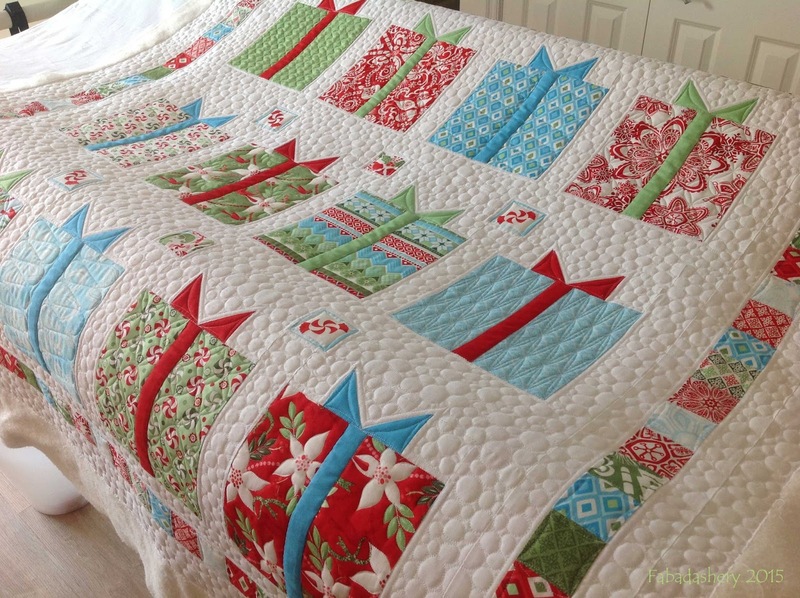 It will be sure to be out over the festive period this year. Will you be joining in the 2015 Mystery Quilt? 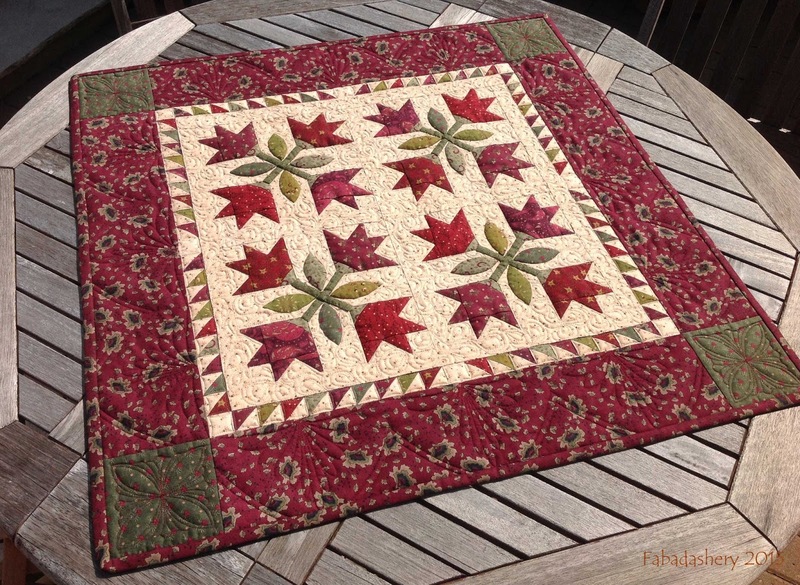 I have been busy quilting secret Christmas gifts for customers which I haven't been share with you, but this week I have been quilting this Rail Fence quilt by Anne. 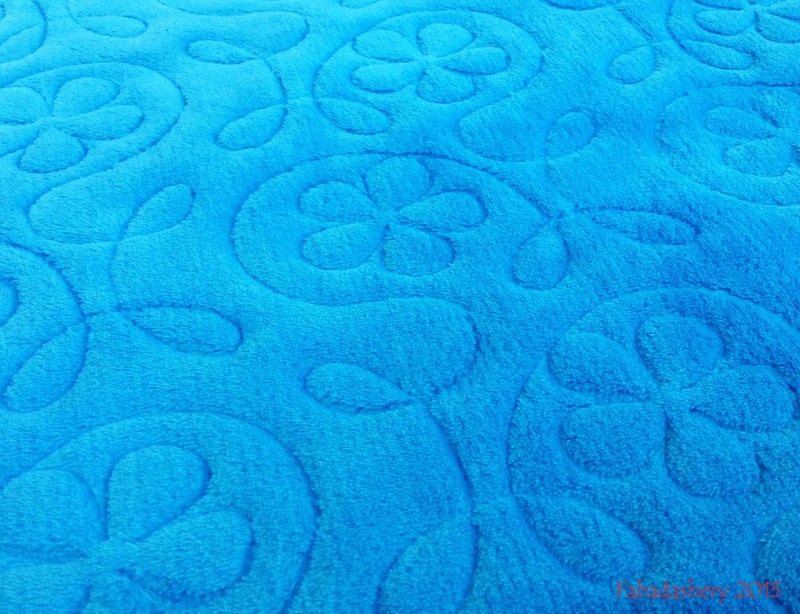 It is a quilt for her guest room in her favourite blue colours. At 97" x 97" it filled up my APQS longarm quilting frame to the max, so not a quilt you would want to squeeze under your domestic machine! 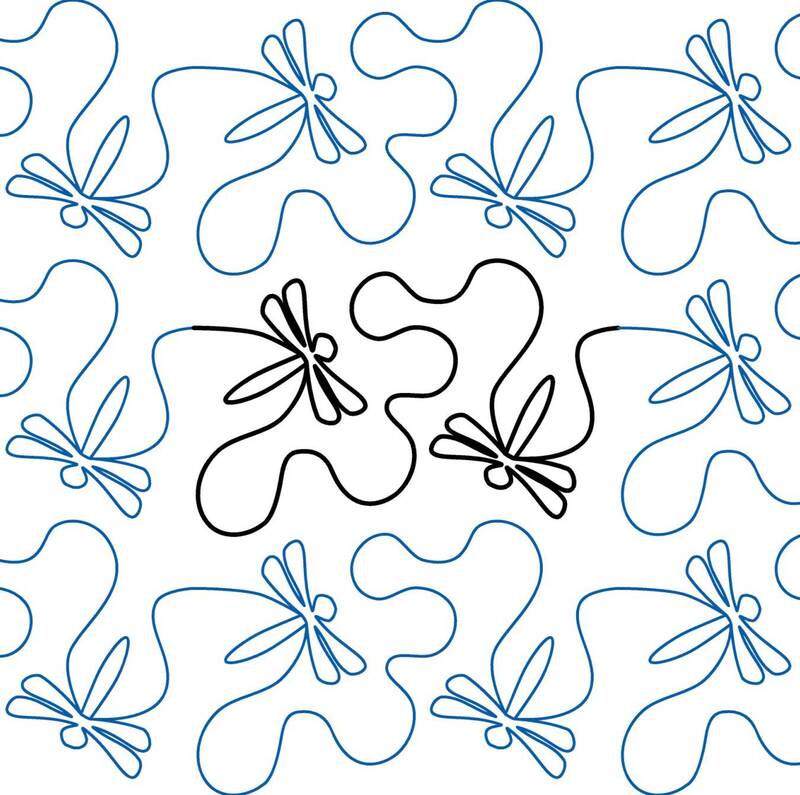 She wanted light quilting, so she chose a delightful all over edge to edge digital design featuring a dragonfly motif called 'Dragonwings' by Apricot Moon, one of my favourite designers. 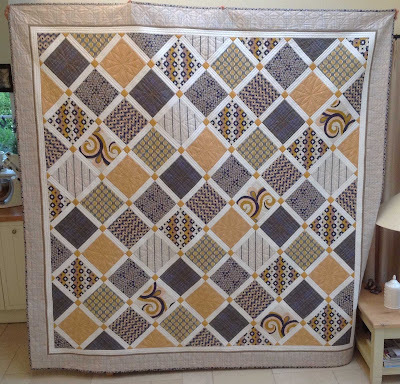 It was backed with Daisy Tea Dyed extra wide fabric by Nutex, Hobbs Polydown as the wadding, and stitched with 0842 Gold Isacord. I have recently managed to fit in quilting one of my own quilts. I made this Kaffe Fassett Zig Zag quilt over a year ago and have now finally stitched the binding on. 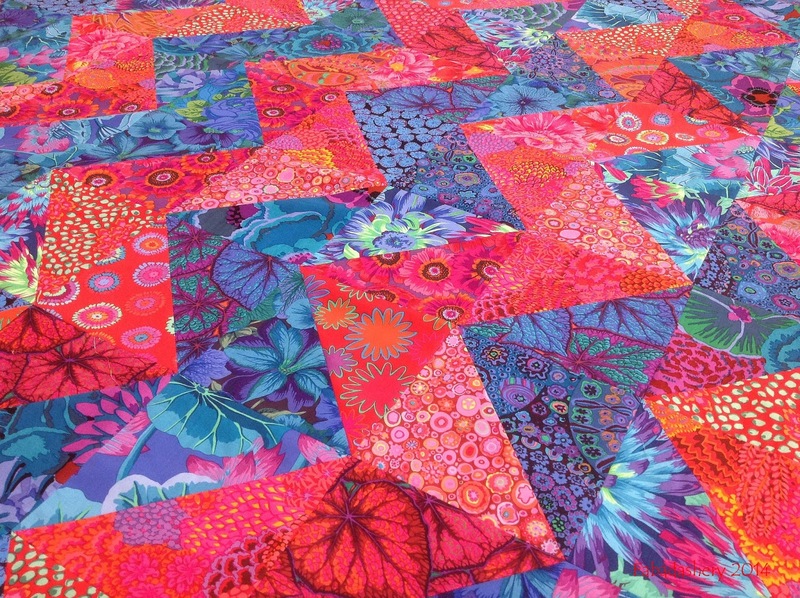 ﻿From seeing lots of Kaffe Fassett quilts, I knew that whatever quilt pattern I choose it would be almost invisible amongst the bright and busy prints. 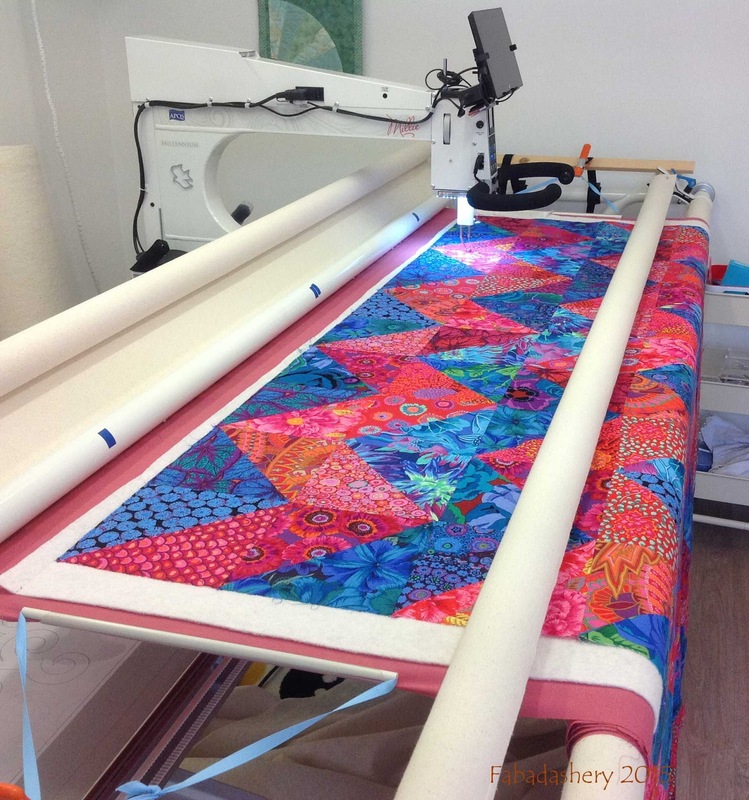 However, with a plain shot fabric on the back, it would be seen there so I chose the 'Dewdrops' digital pantograph, which has a lot of movement in it. 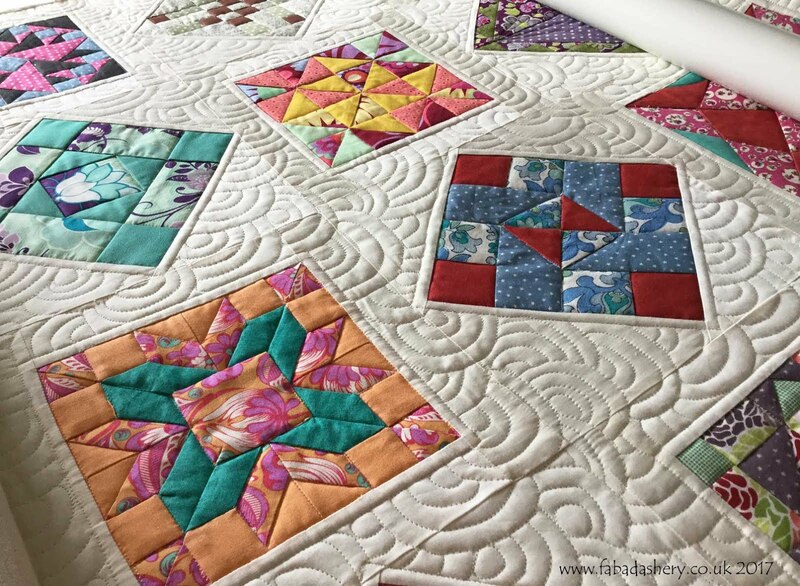 Sometimes when a customer brings a quilt for quilting it can take a while to come up with the ideal quilting solution to ensure that quilt is made to look its best. 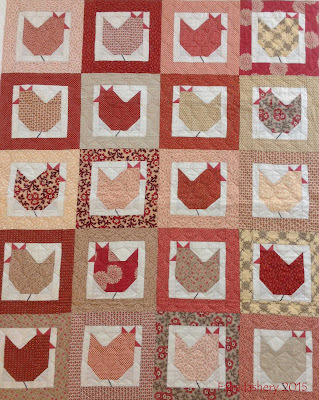 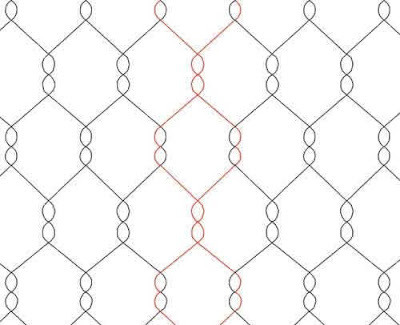 However, when I saw this quilt with chickens, I immediately thought of this 'chicken wire' digital pantograph by JoAnn Hoffman. 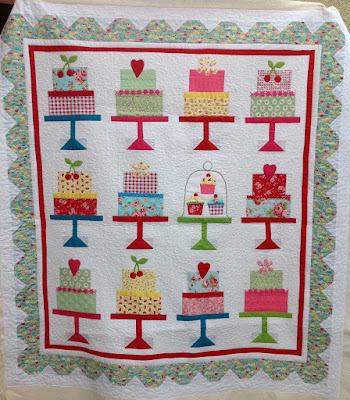 Wendy hand stitched this quilt using a French General Dessert Roll using a pattern 'Hen Party' by The Quilt Room. The back was also pieced using some of the French General fabric that was left over from the project. 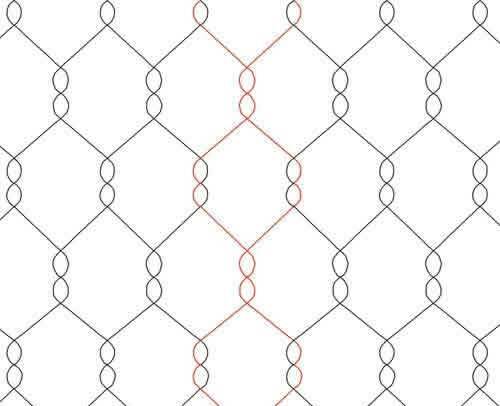 I think the 'chicken wire' pattern gives a great all over pattern on the reverse as well. 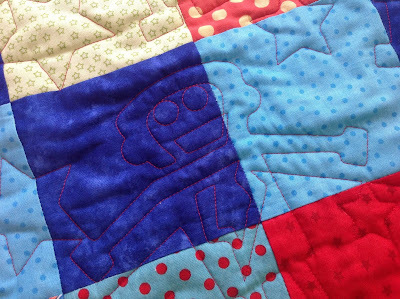 Once it was quilted, I returned it to Wendy who is now busy stitching on buttons for the eyes. 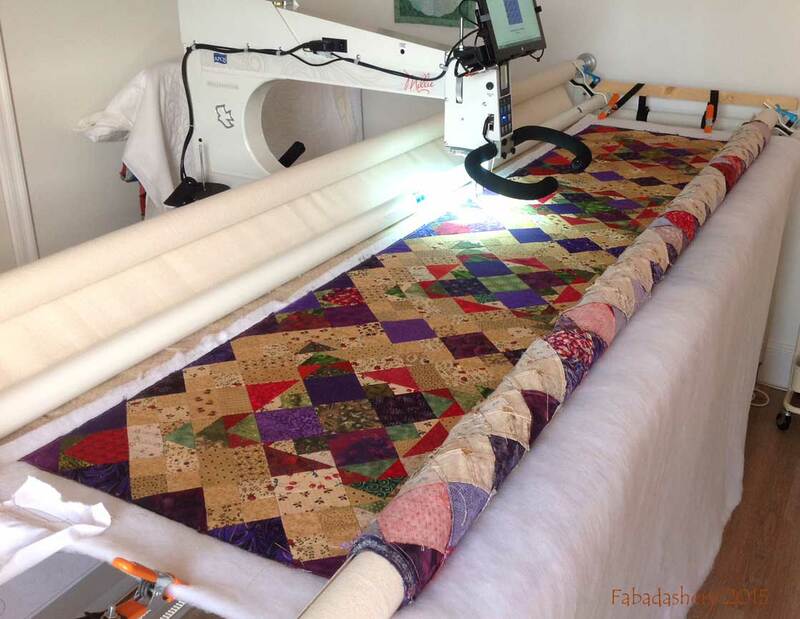 ﻿Something a little different today here at Fabadashery Longarm Quilting. 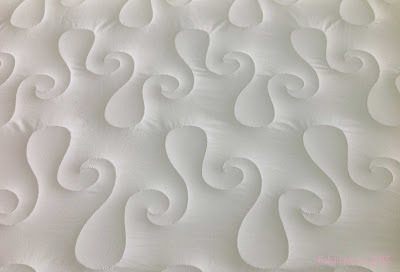 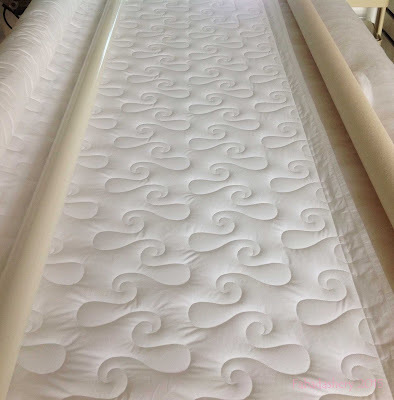 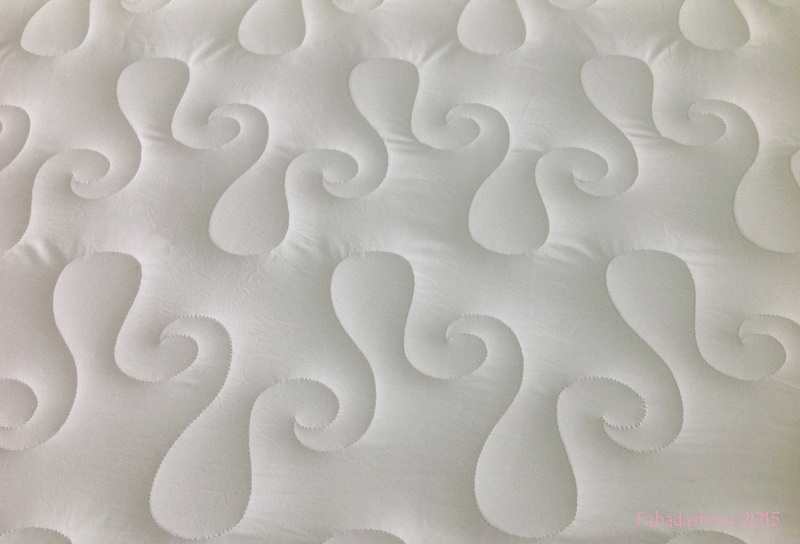 Instead of quilting a quilt to go on top of a bed, I have been asked by a customer to quilt some plain white cotton fabric and wadding to be made up into a mattress protector for a custom sized bed. 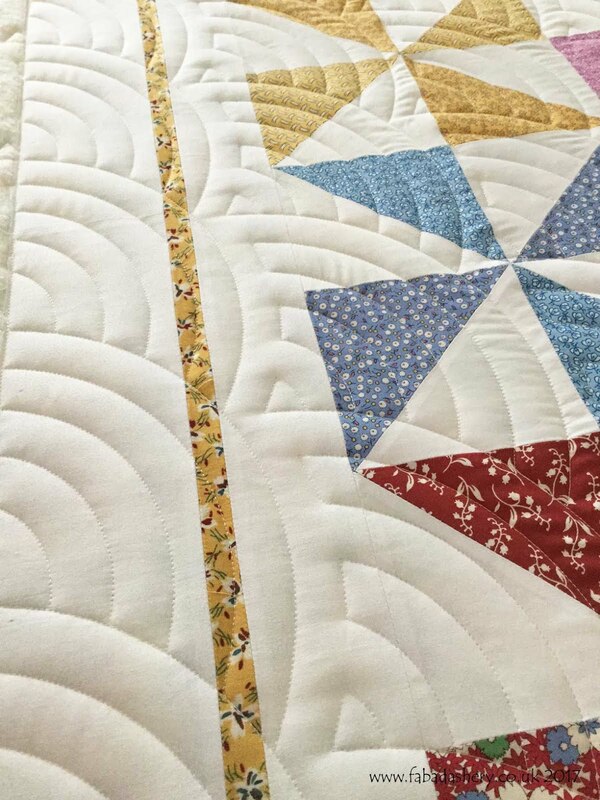 ﻿It has been quite fun to do as the plain white has really showcased the quilting pattern. 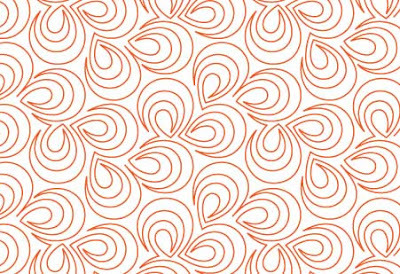 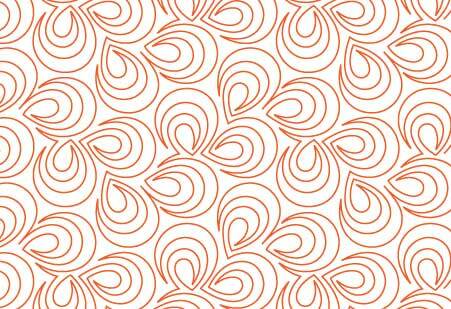 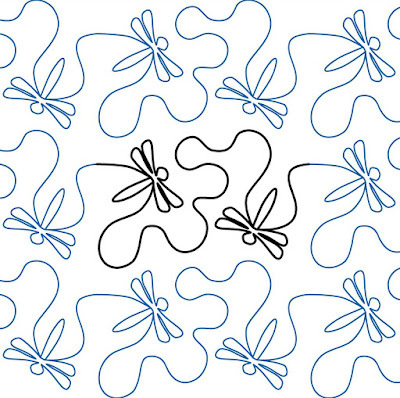 This particular digital pattern is called 'Raindrops' by Lisa Calle. Over the past few weeks I have been using my longarm to quilt some charity quilts for our local Project Linus group. I have accumulated quite a pile to take along to the next sewing event. 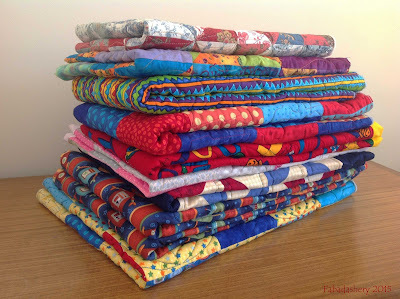 At the last Project Linus day in May, Ruth, another volunteer, and I collaborated on a few quilts of our own, using the fabric that had been donated to the project. 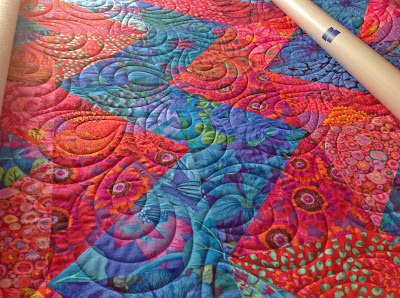 It is only recently that I have managed to fit them in for quilting. ﻿I enjoy doing these charity quilts as they are an opportunity to try out new patterns and increase the choice available for my customers. 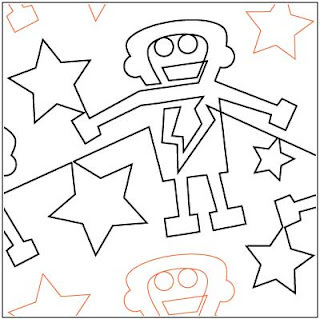 On this quilt I used a digital pantograph with a robot on it called 'Boltz' by Kyla Trammel. 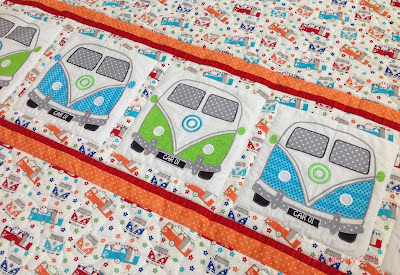 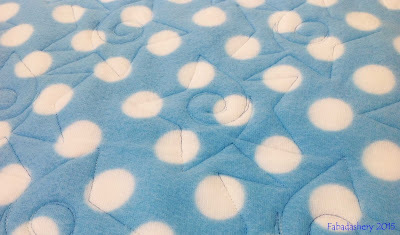 It turned an ordinary square block quilt into a cuddly fun quilt, especially with the fleece we put on the back. 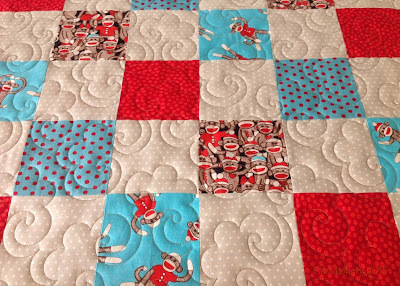 Another quilt we made featured the 'Sock Monkey' character. 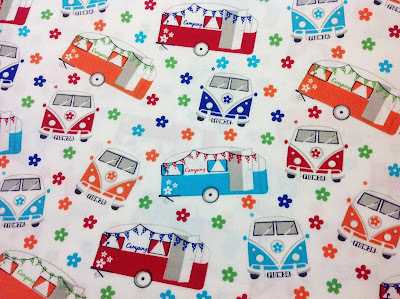 It is certainly not the usual type of fabric that I choose, but innovating on the day led to this cutie. 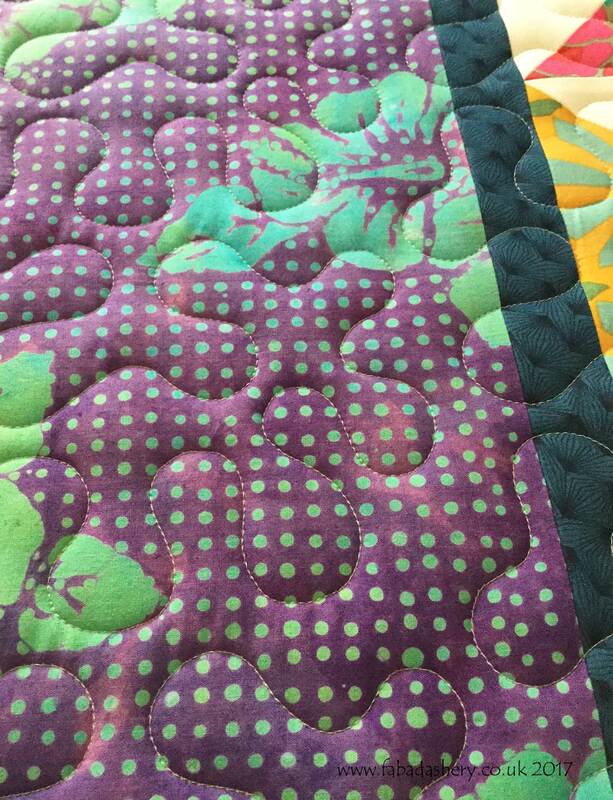 This was quilted using a 'Popcorn' digital pantograph. 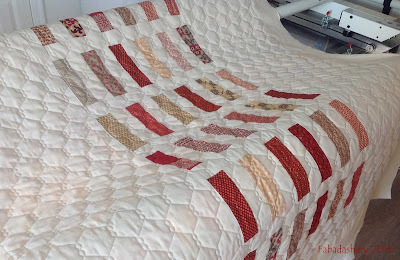 With such a bold quilt design, the quilting needed to enhance it. 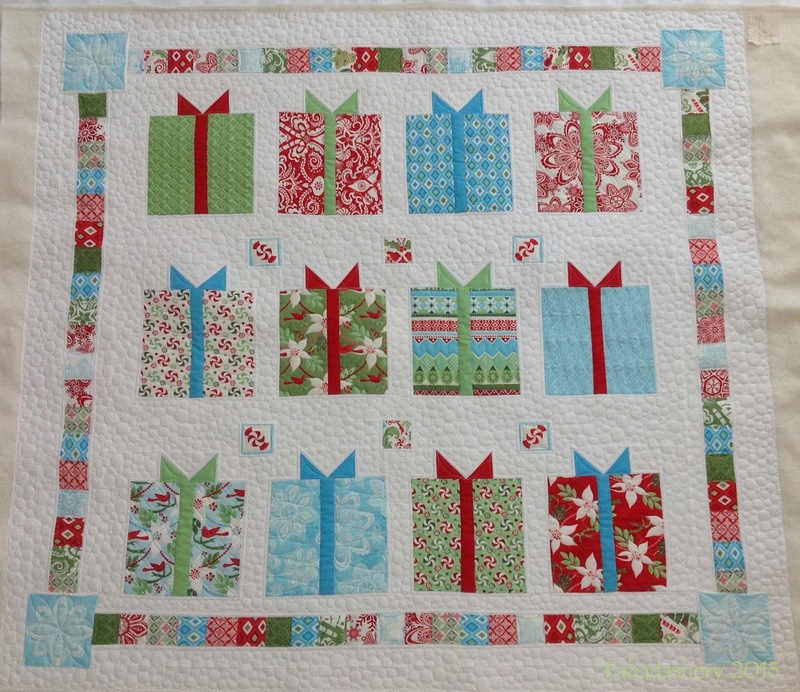 To keep the Christmas presents special I outlined each one with stitching and quilted each one with its own individual decoration. 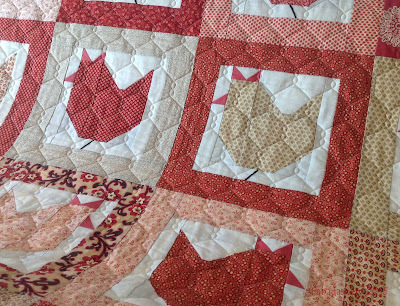 The border was also given a custom quilting treatment. 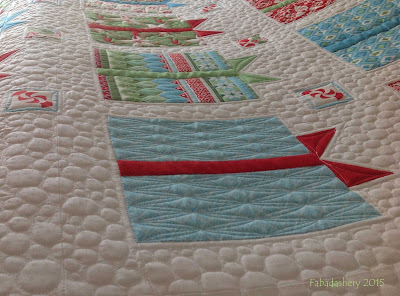 To keep with the seasonal theme I quilted a pebble background filler in white thread so it looked like snow. 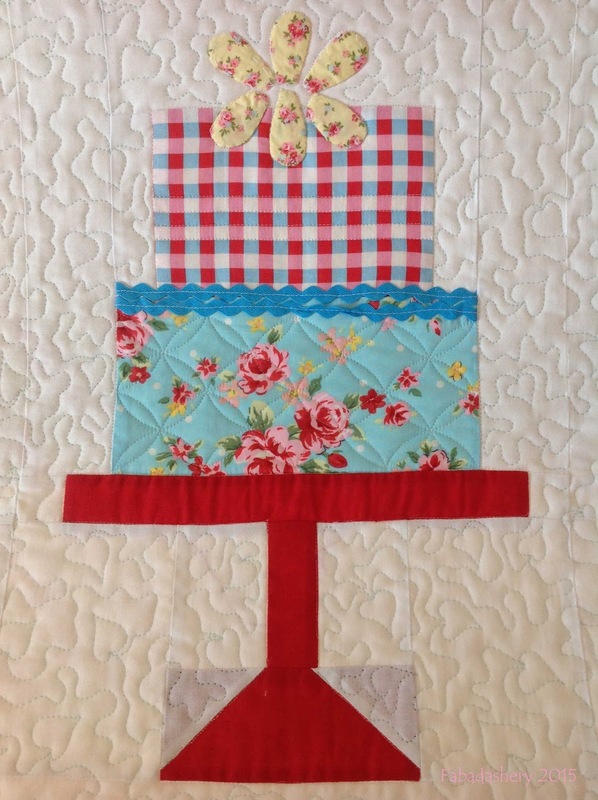 The quilting background texture also helped the presents stand out a bit more. 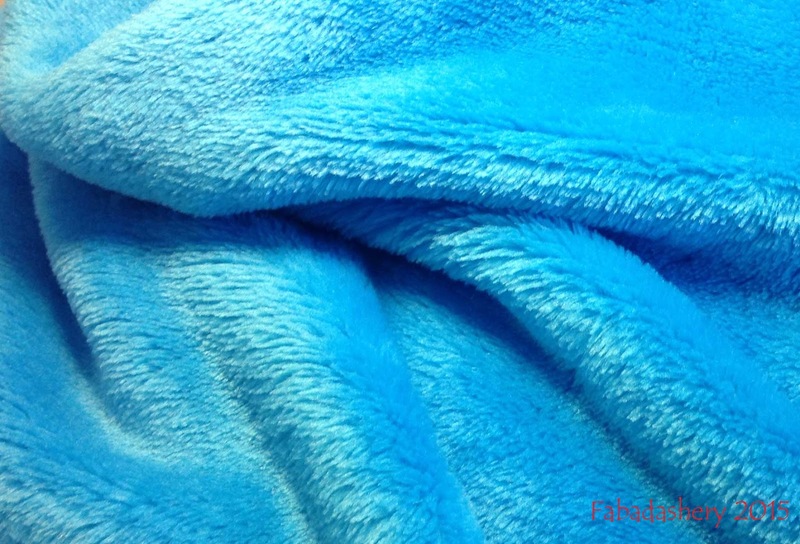 The wadding is 80/20. 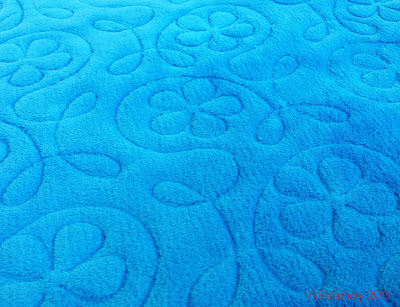 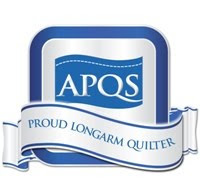 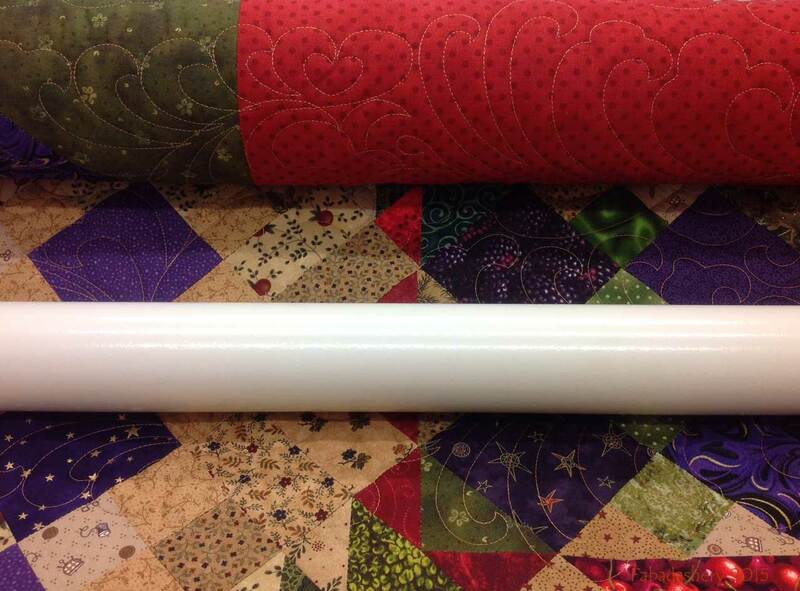 Customers are starting to reserve long arm quilting slots in the lead up to Christmas as they prepare their quilted gifts for friends and family. 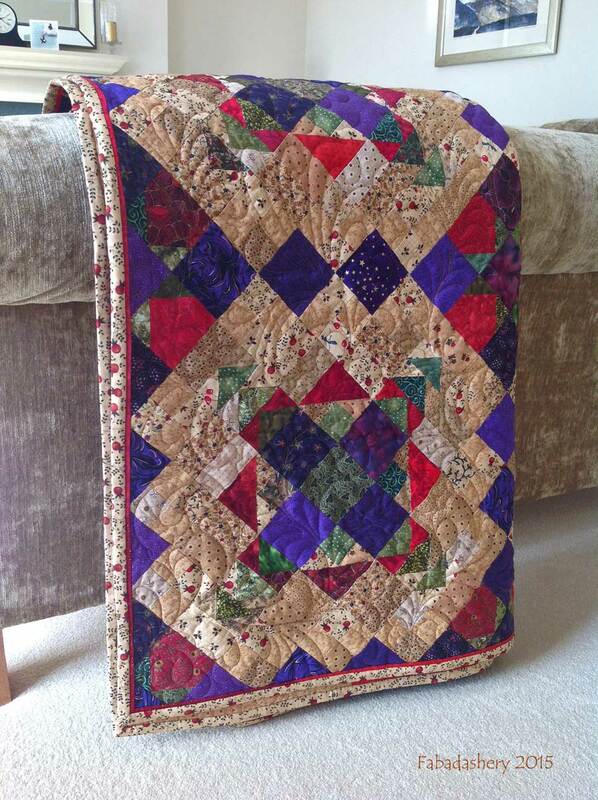 If you are making a quilt as a gift for Christmas that you would like me to quilt, please get in touch. Joining up with Crazy Mom Quilts & Whoop Whoop Friday! 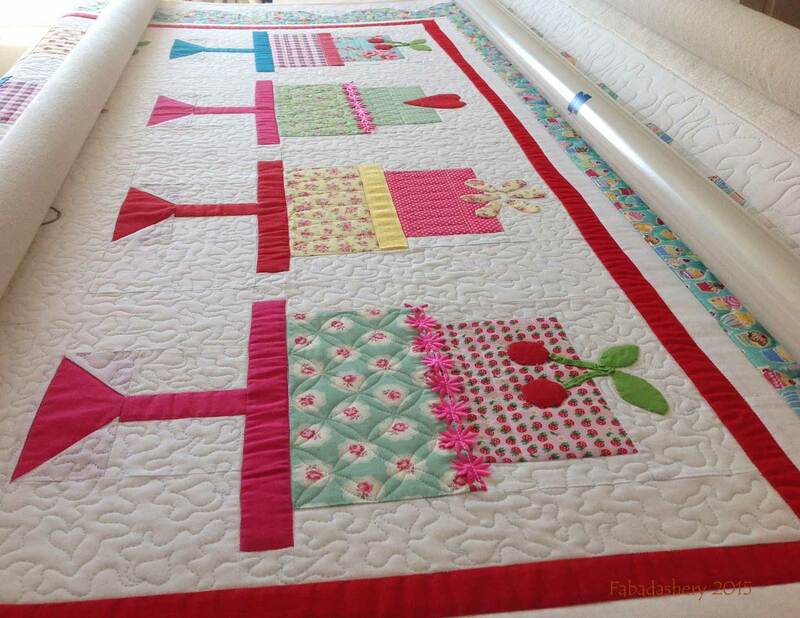 A customer has recently sent me a photo of a quilt I custom quilted for her a few months ago. 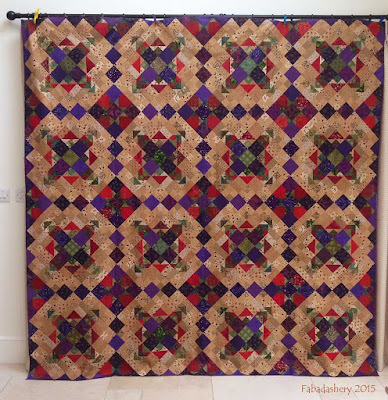 Like many of the quilts that pass through my door it has a story attached. This quilt was a gift for a good friend who had personally chosen the fabric, but not particularly colours or designs that my customer was used to working with. 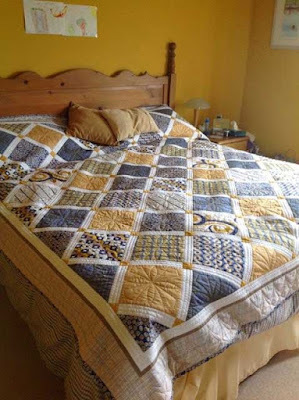 I think she did a great job. 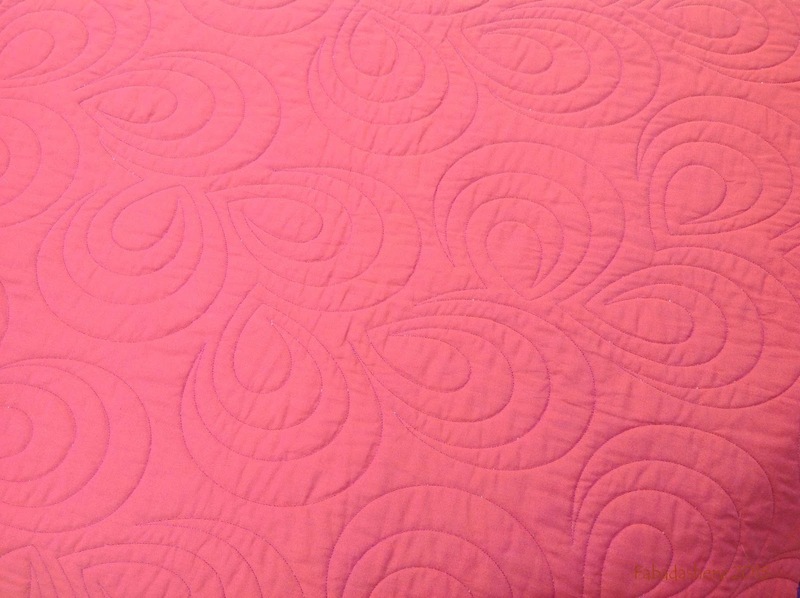 The majority of the fabrics come from the range 'Athena' designed by the American quilter, Angela Walters. 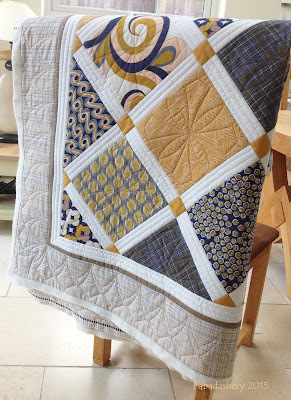 This was of particular interest to me as Angela was over in the UK this summer and I was going to be attending one of her quilting workshops, which incidentally was brilliant! 'Idaho Lily' Kim Diehl Simple Whatnot 28" x 28"
﻿﻿A few months ago I made a small quilt which was part of the Kim Diehl Simple Whatnots series called 'Idaho Lily'. 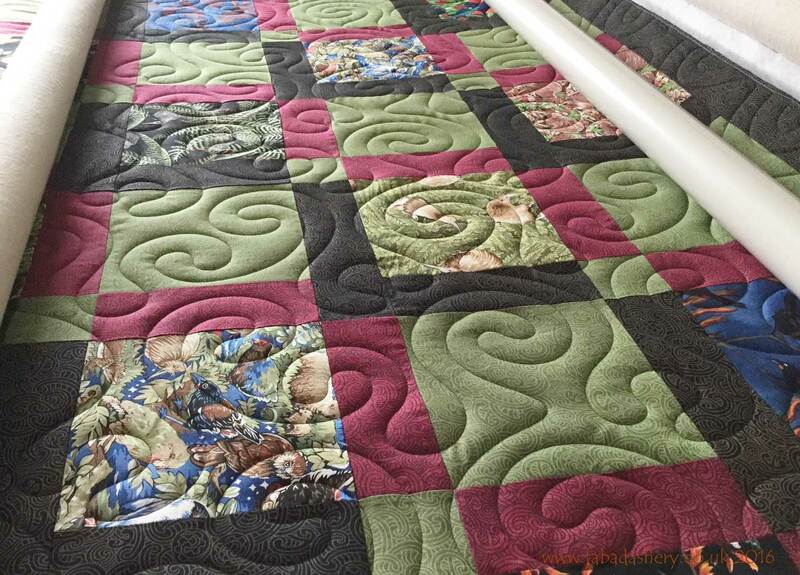 This week I took time out between customer quilts to get this small quilt quilted on the longarm quilting machine. 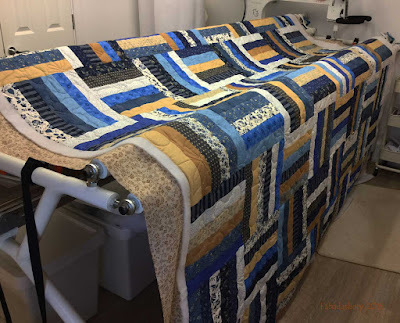 I had been mulling a few ideas over in my head and decided that I would use a combination of longarm ruler work, free motion patterns and a few digital patterns. 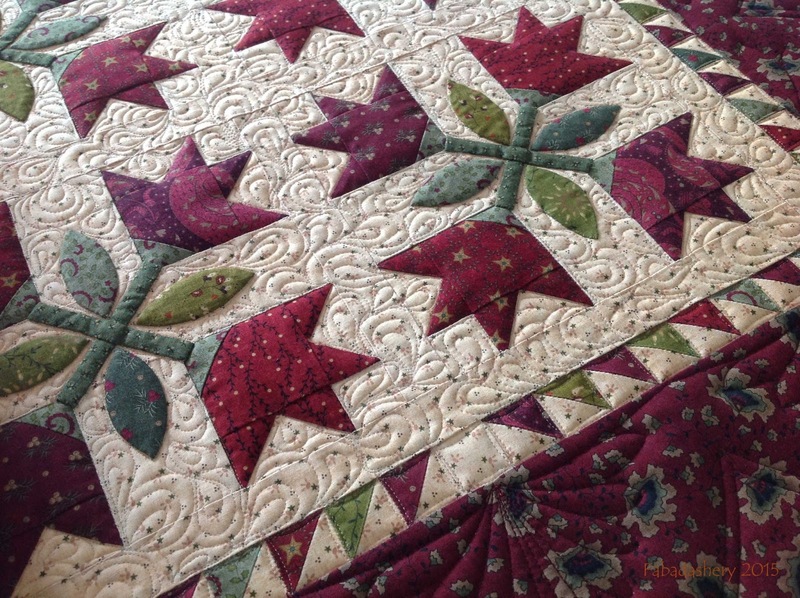 A key part of the design are the traditional lilies which were hand appliqued onto the quilt. 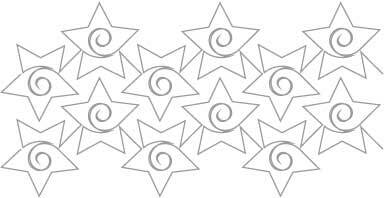 I wanted them to stand proud giving them a similar effect to trapunto. 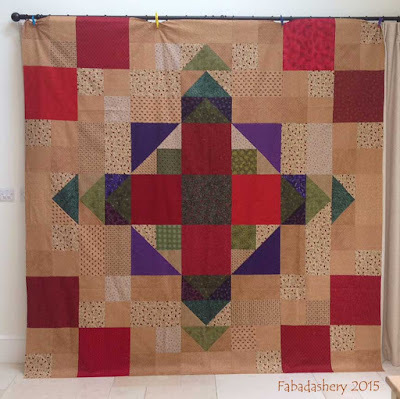 To help achieve this I used Hobbs Polydown wadding, which has a good loft, between the fabric layers. Firstly, I used my longarm rulers to stitch in the ditch around the key elements of the quilt. 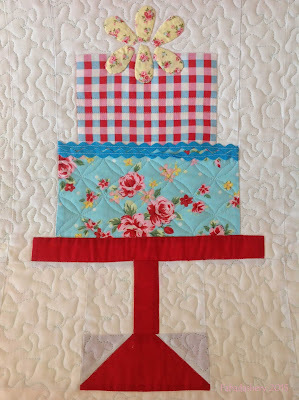 I used a straight ruler for the borders, but for the applique shapes I used this nifty little 'Appliguide' ruler available at Deloa's Quilt Shop. 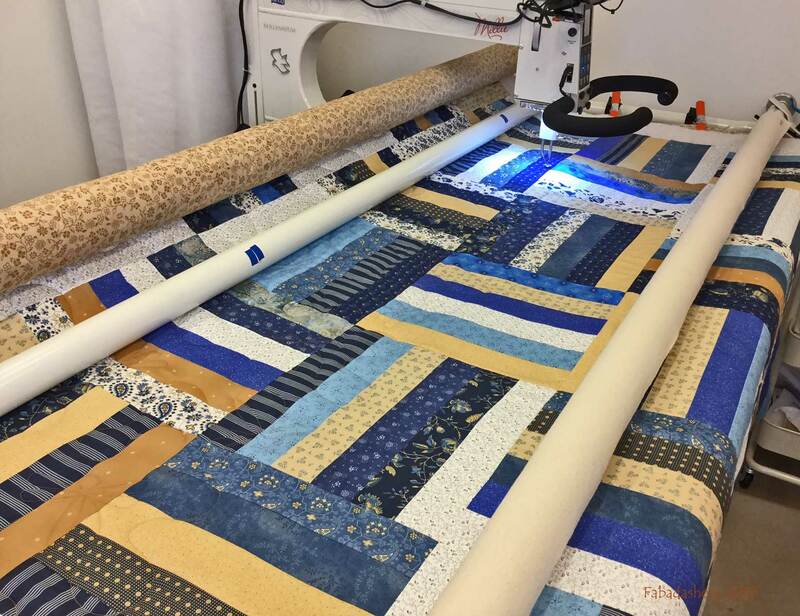 Slipping the longarm machine hopping foot into the hole allows you to follow the edge of detailed work more closely, and this is the first stage of getting that trapunto look. 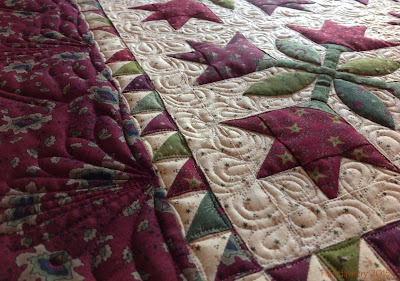 Next I used the rulers again to do a continuous curve pattern on the half square triangle border. 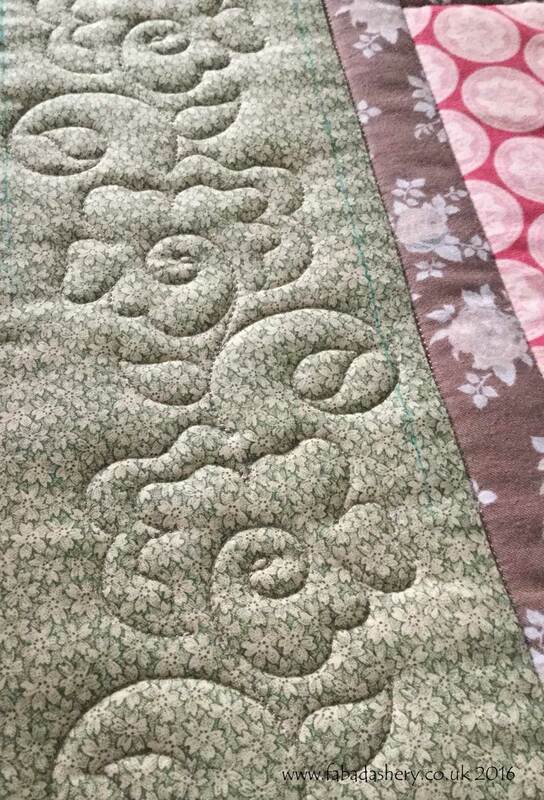 They were only 1" square, but as always, the devil is in the detail. To finish off the borders I used some of the digital designs available on my APQS Quilt Path system. 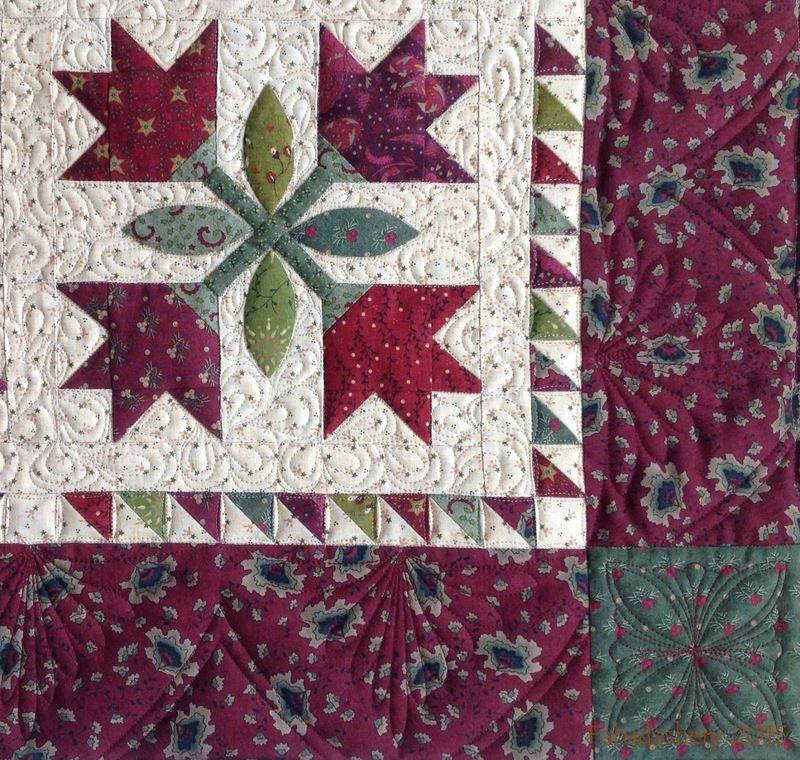 I was aware that any complex work on the borders would be competing with the busy fabric patterns, so I chose the corner block design because it echoed the pattern of the leaves on the applique and supplemented the border design with some further ruler work. All that is left to do is to get the binding on and give a label.